Not long ago, my son told me he was awakened at 3:45 a.m. by Emerald’s voice over the monitor. She was practicing some of her newly acquired language skills, specifically, the word “bye.” As he listened, she tried out various forms of the word—bye, byeee, bye-bye, bye-BYE, BYE-bye. Clearly, the word “bye” was on her sweet little mind in the wee hours of the morning. 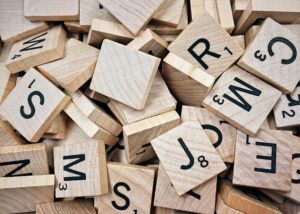 Often words stay in your head because you’re intrigued by the cadence of the word—like onomatopoeia, they are new words to you, they are a currently overused phrase in our culture, or because someone has repeatedly said those words to you or about you. And sometimes, those words aren’t positive or kind. I distinctly remember the words of a woman who forcefully pushed open the door of the ladies’ restroom at church as I was about to exit. Her exuberance slammed the door into me, pushing me against the wall. When she saw me, her response wasn’t an apology or concern for injury. Instead, she said, “Oh, I wondered why the door wouldn’t open all the way. Now I see it’s because it couldn’t get beyond someone as big as you.” As a self-conscious teenager, those words were devastatingly painful. We’re all guilty of making thoughtless, unkind statements at times, but often people use words as a weapon to intentionally injure. You may be working hard to overcome words said to you in childhood or in an abusive relationship. Or perhaps the words you need to move beyond are the ones you continually tell yourself. When you speak, hear, or mentally replay wounding words, whisper a prayer, asking God to help you stop saying or remembering painful words. If you need an example of words the ignite conflict, listen to campaign ads or scroll through social media sites and you’re sure to find numerous rants of a political nature. Often, people who don’t even know each other engage in venomous verbal battles that go on for days and insight others to do likewise. This type of conflict is pointless. It doesn’t change opinions, garner support, or build up. Words that stir up benefit no one. Unfortunately, we are less likely to hear healing words than other kinds. Words that heal are born from repentance and humility. They are words that express regret, admit wrongdoing, request forgiveness, or express thanks or other heartfelt emotions. Are there words you wish you could hear? 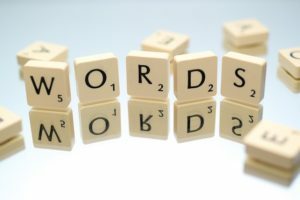 Are there words you need to say to others? While you can’t force someone else to say what you long to hear, you can speak words that initiate healing. Many words that appear in print today are hollow and designed only to fill space. Frequently, headlines or book titles promise wisdom or solutions, but fail to deliver. As a writer, I strive to craft words that provide answers and hope rather than words that insight conflict, demean, or are empty and meaningless. Words that edify aren’t preachy or condemning. Instead, they encourage self-examination, convey wisdom, and suggest solutions. In today’s world, it is much more common to hear words of criticism than words of praise. And we are much more likely to remember words of criticism than words of encouragement. It’s important to realize those who criticize are often jealous, lack self-esteem, or have a general negative attitude about everyone and everything. But when you’re criticized remember the old adage to “consider the source.” The opinions of critics are just that—opinions and those personal views don’t define you. Instead of focusing on the words of critics, reject them and listen for those who encourage and support. Perhaps you need encouragement to pursue a dream, move beyond hurt, or change negative patterns in your life. 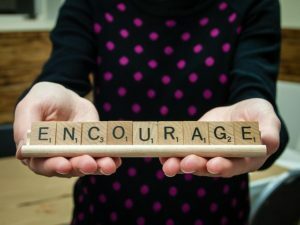 If you don’t have an encourager in your life, look in the pages of scripture for wisdom and encouragement. 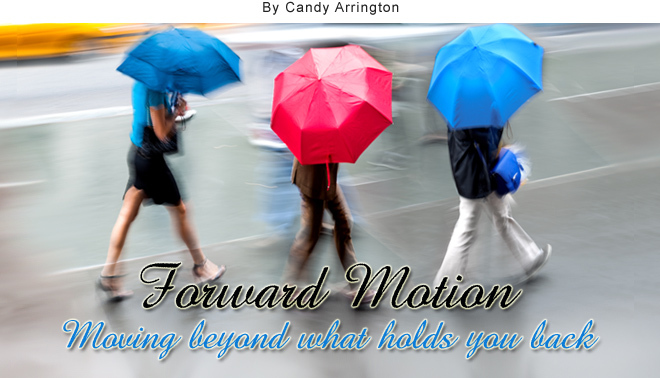 Tune out negative words and focus on positive ones to help you maintain forward motion. It is much more common to hear words of criticism than words of praise. Tune out negative words and focus on positive ones. Your words were sweet to read and full of wisdom, Candy! Thanks for sharing your blog with me!